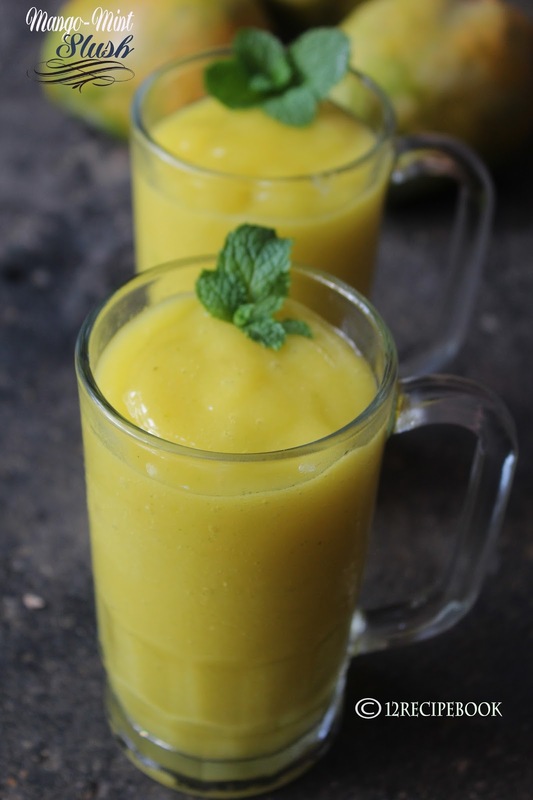 Slush is a frozen drink which is made from frozen fruits or its pulp. Hence it is a perfect summer cooling drink. 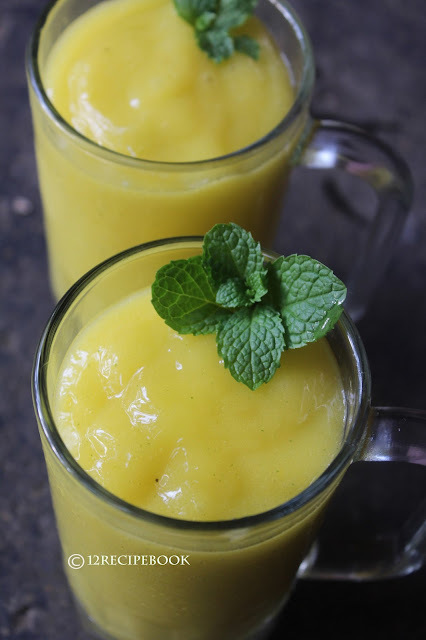 Ripe mangoes are available in everywhere, lets peel it, frozen it and then blend!!! Freeze the chopped mango pieces for overnight. The next day blend it along with all other ingredients (mint leaves, ice cubes, sugar syrup and coconut milk). Blend continuously for about 3 minutes until all the ingredients are crushed well and forms a nice slush. Add in to two serving glasses and serve soon!!! NOTE: You can use any other milk or chilled water itself instead of coconut milk used here. But it tastes great! !